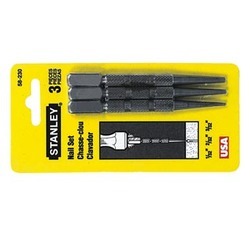 58-230: 1/32" , 2/32", 3/32"
Nail art was never this easy! With our Nail Art Dotting Tools let your creative mind run wild. Perfect tool to get precision nail art. Contains File, Clipper, Cuticle trimmer, buffer and Case. All the necessary tools for a saloon-quality manicure in one simple perfect manicure kit.